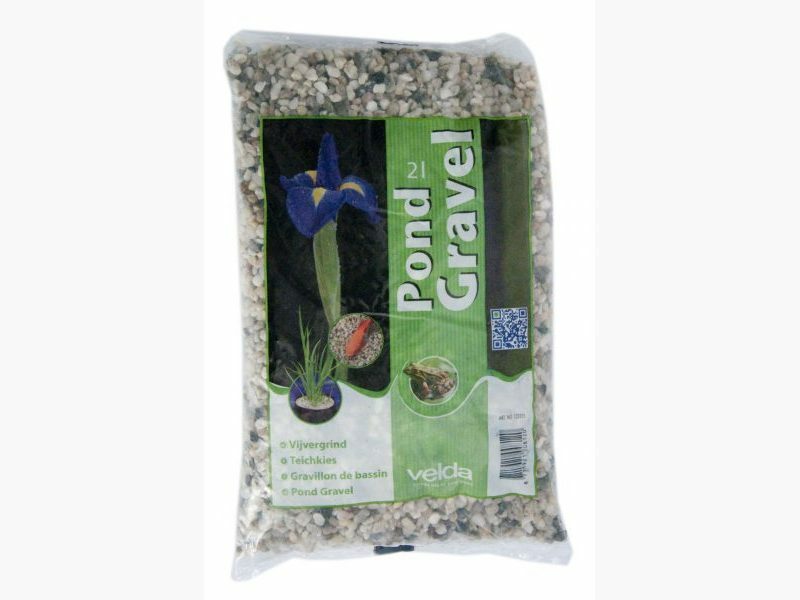 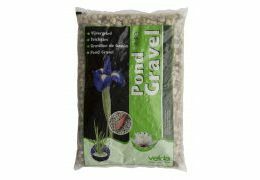 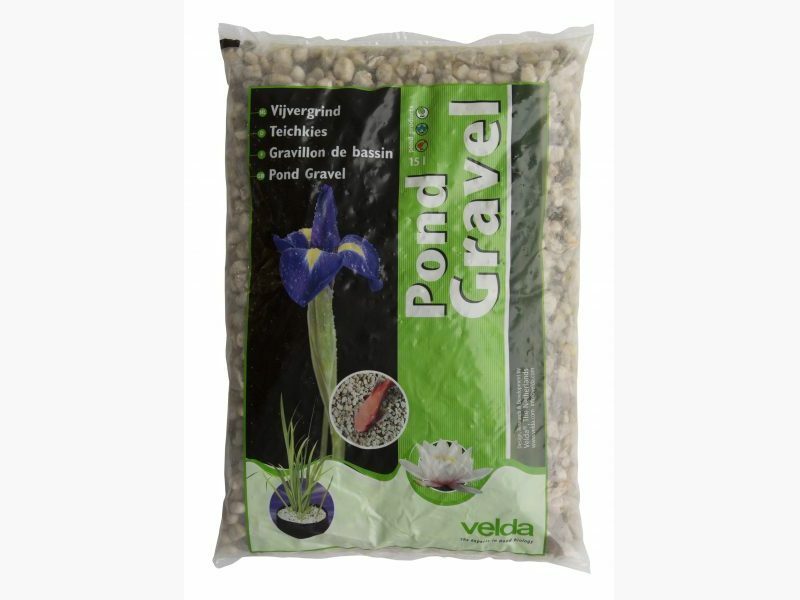 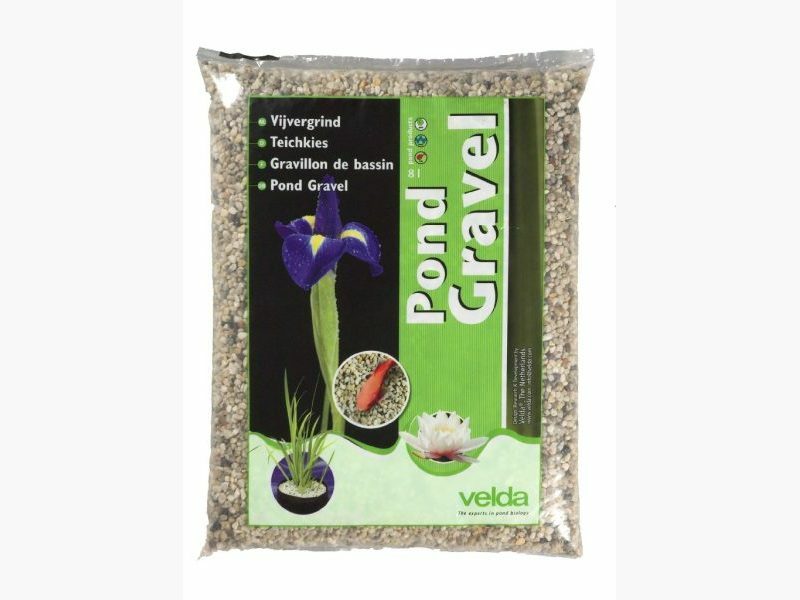 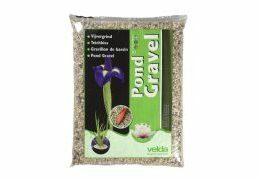 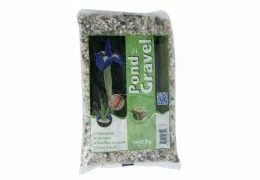 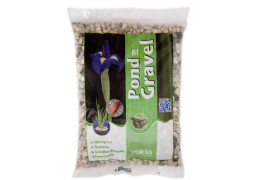 Velda Pond Gravel is free from harmful substances and silicic acid, which makes it pre-eminently suitable for use in garden ponds. 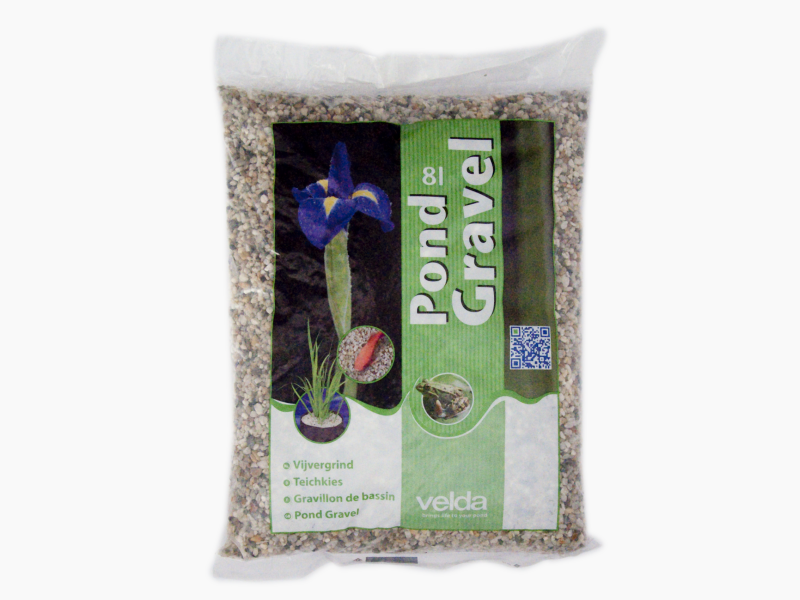 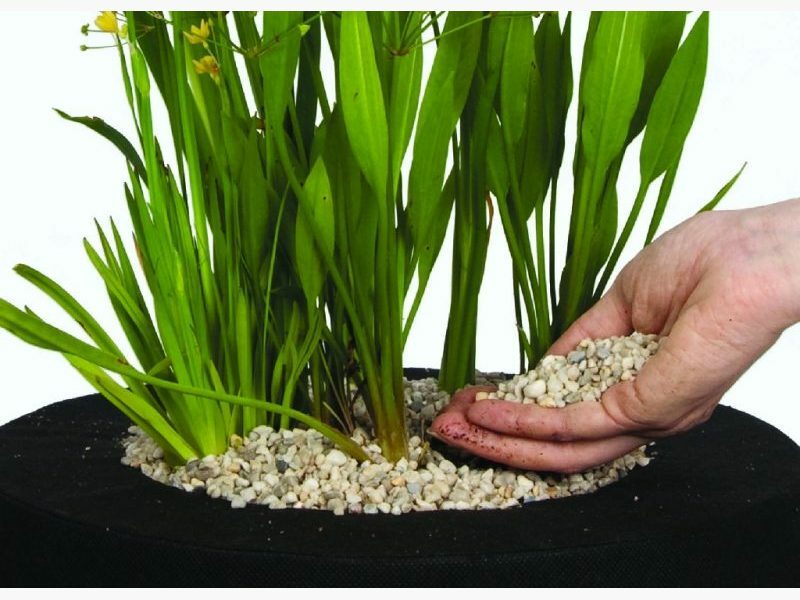 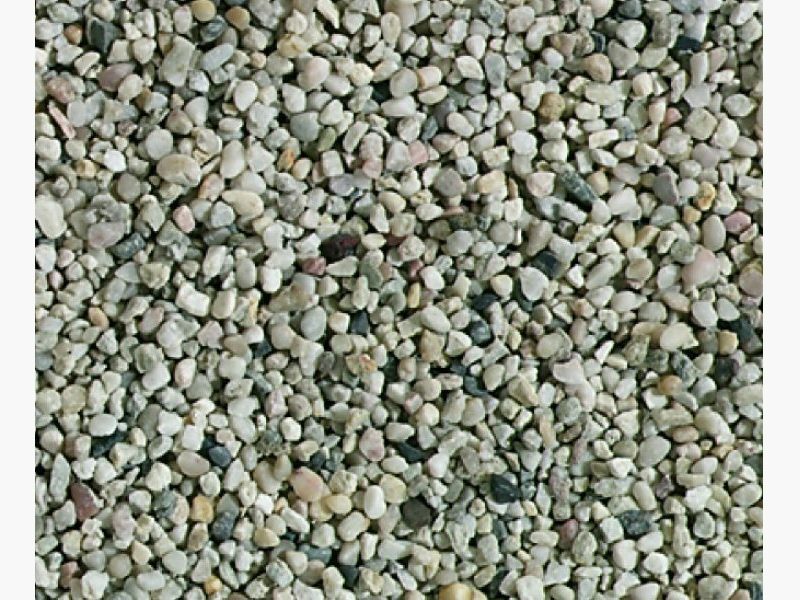 In order to prevent the soil from flushing away, gravel is used to cover plant baskets, however, it is also quite suitable as cover material for marsh and pond soils. 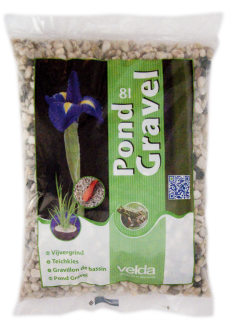 A soil which has been covered with gravel magnificently outlines a pond and permits a clear view of the fish. 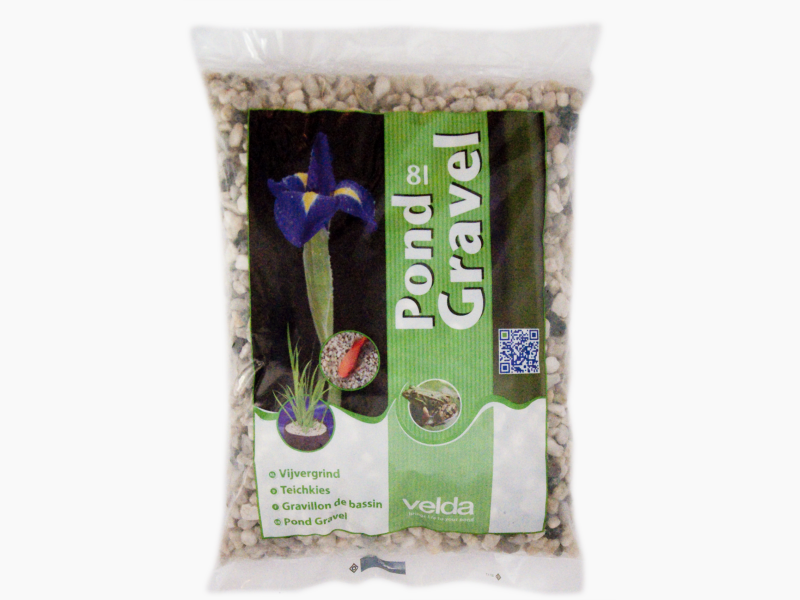 Available in 4 to 6 mm and 8 to 12 mm, in bags of 8 and 15 litres.